...the Theme for this week's Challenge is...By the Sea / Summer!! Have you been able to spend any time by the Sea yet this Summer?? My vacation is still about one month away, but I am oh so ready!! Ocean here I come, well not quite yet... but SOON!! Back on track... Have you visited Fresh Brewed Designs lately?? Heather has several new images each and every month!! The Shop at Fresh Brewed Designs is a great place to visit and look for that perfect image!! Check it out!! Click HERE!! 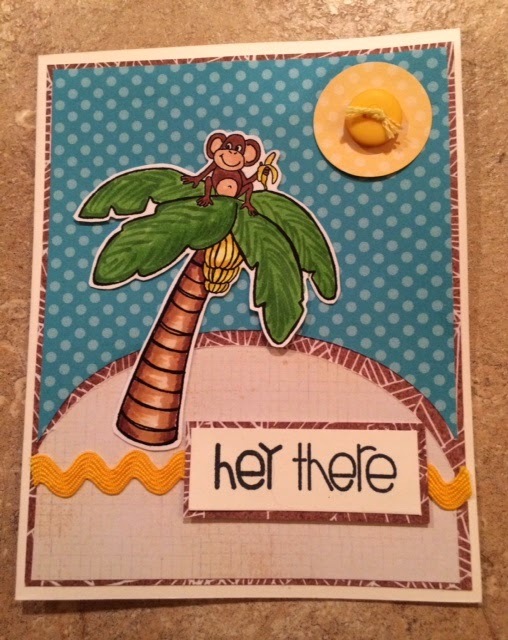 For my Summery themed card, I chose this new digi Monkey in Tree!! How cute is he?? I love the Lord, I love my Family, I love my friends and I love to do what I love... I'm a wife, mother and most recently a Grandma!! 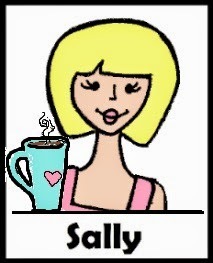 I love all things crafty, especially card making, quilting and knitting!! I would love it if you followed my Blog =) Take time to make time for who and what you love... it's key!!! Thanks for stopping by!! Lot's going on at Fresh Brewed Designs - Be sure to stop by and check it out!! Oh Dear... It's Sweet Sketch Wednesday 2 Time! !